Question: What happens when a classic doll-turned-mascot of a Japanese mayonnaise company is combined with an equally iconic Japanese video game mascot? 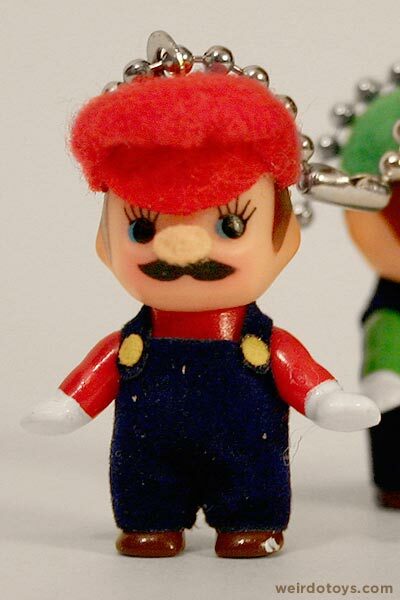 You get a weird, effeminate, childish mustachioed plumber. 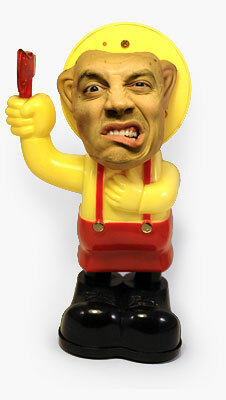 I’m sure you recognize the iconic Kewpie Doll. You may not know it, but this character is actually a mascot of the ever-popular Japanese Kewpie Mayonnaise. Freaky huh? 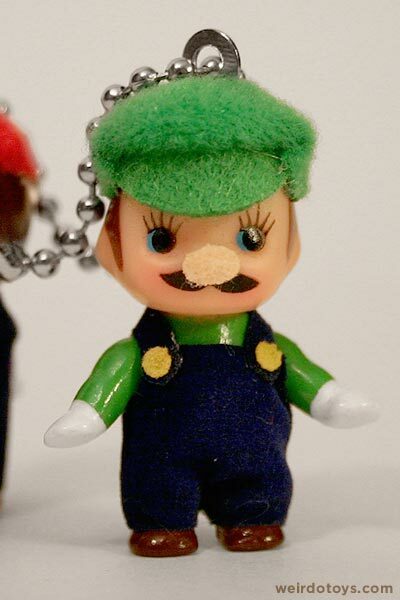 And if you’ve encountered any Nintendo game (you know, the Wii of course) in the last 20+ years, you’ll recognize Mario as the mascot of the brand and a celebrity in a bunch of its games (Oh yeah… and there’s his second-rate brother Luigi who’s always left out of the spotlight). 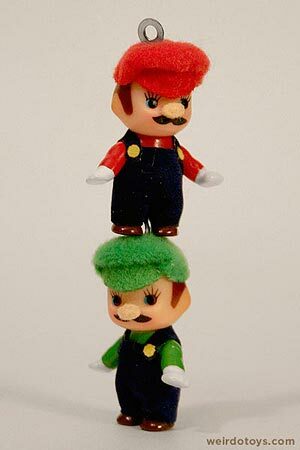 Kewpie Mario Bros. – Stack Attack! 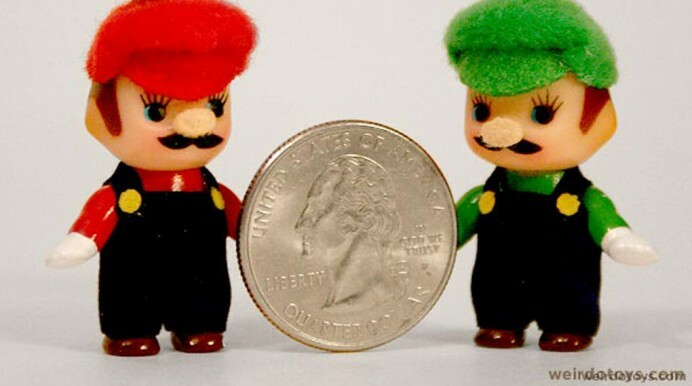 What’s funny about these little guys is the fact that they look like little kewpie kids in disguise. The painted-on hair and moustaches topped off with a little piece of fabric glued onto their noses helping create the illusion of a fat plumber. One last thing. These guys are TINY! 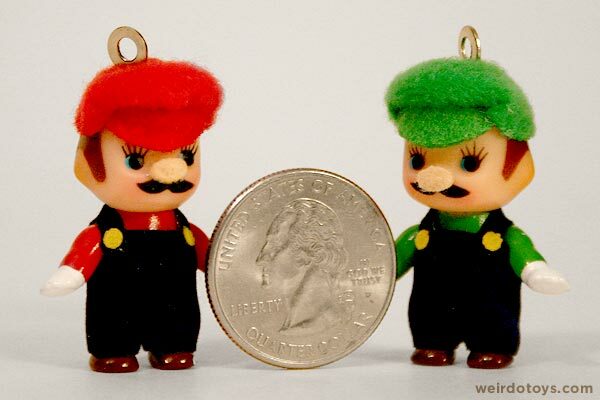 I was expecting them to be 4″ tall or something. Nope. They’re just under 1.5″. These fellas are in desperate need of a Super Mushroom (dipped in mayo of course). Also, 1990 toys, you can probably find a set on eBay or something (that’s where I found these)… or maybe luck upon a shop that sells Japanese Kewpie keychains. I dunno. strapya-world.com sells kewpie phone straps and charms. im looking for the one that looks like an anatomy class doll 😛 they’re sold out in that site so if anyone finds one please let me know? 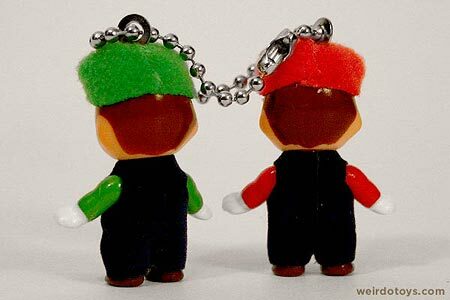 I wonder if the Company Made a Kuppa or Bowser knockoff too? Ketchup Kuppa and Brown Mustard Boswer oh yeah I gotta have em! 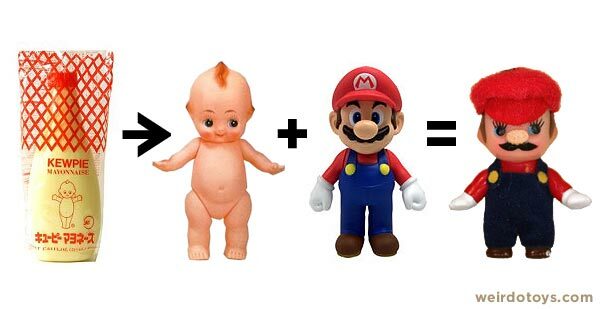 I wonder how a kewpie princess peach would look?